In a race with a fairly sad group of entrants, I looked to find something more solid than Jazz Player but landed on him anyway. He should have the controlling speed, and with the drop and price should be able to hold to the wire. Chief Assignment ran well on the AQU dirt last out in his first start in seven months. While he’s earned most of his way to professional maiden, this is a weak field and his last race figure says competitive. The David Cannizo entry both look competitive in this field. Promise and Hope is dropping to his lowest price and Mischeivous One had an excuse in his last when dropped to this level. Unstoppable You was claimed last out by Robert Barbara who is not strong first off the claim, but he’s got great front running ability and seems to be in top shape. Was with much better earlier in the year and may be on the way back up. The Jacobsen entry both have outs here. He’s been scratching one of the entry horses lately, but I’ll stick with the one that remains if he does scratch one. Mack Miller won at $14K two back and ran evenly despite hesitating at the start last out when jumped for $20K. He’s in the mix here. Drama King has been doing fairly well in state-bred stakes and optional claimers, and has the figures to win in this field. Readtheprospectus just won and was claimed by DJ. Jumps up a little today and DJ still runs 25% first off the claim. Has been with better in the recent past and may be up to handling this field. One Sided hasn’t been out of the money in his last 8 races, puts blinkers on today and figures to get a good trip. If he wins it would be no surprise. Mind Magic ran well on the AQU turf last out and while I couldn’t give him a 4/5 chance here, he does look best in this field. Three’s Are Wild ran well in the early part of the race on the AQU turf, fading badly at the end. But he probably needed the race and you have to respect speed on this turf. Holy Week runs his best on the turf and has some liking for the AQU turf. Has got outs at 8-1 ML. Winter Wish was claimed by John Parisella two back and was moved up to a state-bred allowance where she ran a new top. Parisella has been quietly having a good year, winning at a 27% overall, and having 100% of his runners in the money at AQU. Hard to go against him off the drop. Enduring Touch has three place finishes in a row at this level and consistent figures. Looks competitive if she develops an interest in winning. Kitty Ride drops down from state-bred allowances to the claiming ranks for this one. Last race was the first in a while and was on the turf. She’s back on the dirt today and off her best has good outs. Absatootly ran well as an outsider first time out and returns at the same level with a figure that doesn’t need much improvement to be the winner here. Super Allison finished behind a couple of these last out but should have learned some lessons in that race. Expect improvement today. Bea Bea showed some interest on the sloppy BEL dirt and has prepped well for this race. A repeat of the BEL fig puts her right in the mix. Comes the Dream was claimed last out by DJ when he dropped to his lowest level in the last two years. Prior to that he had been turfing with some solid OC $62K horses. He looks better suited for the mile distance and off his best looks to be a winner. No Texting has good early speed and just missed last out. Looks to be in good shape for this affair. Sun Worshipper has two thirds in three tries on the AQU turf and his last race was a new top for him. American Guest is another that has a good race on the AQU turf and has been competitive at higher levels. Turf numbers look competitive. The New York Stallion series at seven furlongs in the Sunday feature. Empire Dreams has been running exclusively in this state bred stakes and has field-topping figures. 3 of 3 in the money at the distance and on the AQU dirt. Has the best closing kick in the field. Loki’s Vengeance has good early foot and has a win over the AQU dirt. & furlongs may stretch his ability but he has been competitive with these sorts before. John’s Island is another with competitive numbers, some aptitide at AQU and ability with this level. The finale pits 2 year old maidens at a mile and a sixteenth on the turf. E J’s Legacy made a big close last out at huge odds. A repeat should be enough to take this field. Ranger’s Coming looked good first time with state-bred maidens on the AQU turf. Figure says he’s a major contender.Sax Change goes for the fifth time. He’s shown an aptitude on the AQU turf and has run consistent numbers. Yummy Bear puts the blinkers on in search of his first win. Sherry’s Miracle ran his first two races on the turf and switched to the dirt last out. He looked good in the move to the dirt and seems more apt at the sprint distance. Based on that last race he is as good as anything in the field and the 10-1 ML is attractive. Gehrig lost to monster runner Spooked Out but managed to hold second. He’s well bred for the distance and it looks like the competition might be a little softer. Hit It Once More flopped at AQU last out but before that had been knocking. Good looking drill in prep for this one. Cloontia is a half to Wicked Strong and has been working decently in prep for this one. Sire is around 14% first time. Worth thinking about for James Jerkens who is decent with debut runners. Between the Lines is a consistent horse, always somewhere close at the finish. His last race was his first in a while, and he stayed competitive to the end. His figures from earlier this year would dominate the field and if he got what he needed from his last start he’s the one to beat. Altar Boy won at first asking for Todd Pletcher and returns in search of a win against winners. Some improvement second time out puts him in the mix. Loose on the Town returns fresh after being drubbed by BC Sprint winner Runhappy in the King’s Bishop. His penultimate race he ran into Waco, a horse that ran lights out at the Spa. His workouts suggest he’s ready to roll and would be no surprise in the winner’s circle. Possillicious has good speed and a tendency to finish in the money. Flora Dora finished a closing second in the G3 Tempted on this surface. Is one of a few in this race with the credentials to win. Mo d’Amour goes second out for Pletcher/Castellano. Given Pletcher has three going in this race he’s got big chances to walk away with a win. Mo d’Amour looks speediest of the three and has a nice work in prep for this. Lewis Bay is the Chad Brown offering. She dominated a field last out, running the last eight in a tick over 12 seconds. She looks ready to roll. Very tough betting race. Of the horses that have started, Inspector Lynley looks to have the edge. He’s got a start at the distance and McGaughey is 23% with second start maidens. His first start showed a closing style, so if he stays with that he’ll need pace to run at. Snag is the Pletcher/Castellano entrant and is another with a closing style. Big Beyer number ensures he’ll get plenty of action, but off his last he isn’t perhaps as dominating as that number suggests. He’ll be tough but is not invincible. Annals of Time is a first timer for Chad Brown who is a solid 22% with debut runners. Irad is his go-to guy and the works look like typical Brown. This edition of the Remsen has a number of talented runners signed up. Mohaymen was a $2.2 million purchase and has been handled conservatively by McLauhglin. His first race showed good promise and his next start was a convincing win in the Grade 2 Nashua. His first two starts were made without Lasix, but he gets it today. The talent is there, the distance breeding is there, and the style looks good. Flexibility ran a solid second to the top choice in the Nashua and he looks second best again today. Gift Box is the other Chad Brown runner. He broke his maiden at BEL in the slop, and he will be a contender if he runs that race this time. Wicked Freud has one out of the money finish in four starts and looks to be improving. Mile distance shouldn’t be a problem. Hirschbein had been off since Saratoga, came back with a decent run at AQU, and puts blinkers on for today’s run. Should enjoy the cutback to a mile. Island Therapy has made a living finishing second, but is coming off a win at AQU at today’s distance. Some outs. Wonder Gal spent the year struggling against Grade 1 and 2 company until finally topping a state-bred stakes. She’s back in graded company today, but the field looks like one she can handle. Forever Unbridled is another that has been slighly overwhelmed in Grade 1 races. She ran up the track in the Kentucky Oaks, laid off until October and finished a close fifth in the Grade 2 Raven Run at Keeneland. Gets Johnny V for today’s run. Peace and War failed in the BC distaff, but is another that has gotten a sniff in Graded races this year. Figures definitely indicate competitiveness. With the scratch of Plainview Orino gets an advantage by having less competition on the front end. He was outless against the top state bred turfers like Lubash, King Kreesa and Kharafa in the Mohawk and the West Point, but is in a much more amenable spot today. Has a win and a place in three tries on the AQU turf. Bombaguia was off over a year and a half until returning at BEL in September. His first two races were fairly close figurewise to his previous efforts before the layoff, and at 20-1 ML I’m thinking about taking a chance that Kimmel has brought the horse all the way back. Moutin won his first start in the U.S. at AQU on the turf, but since then has been in and out. He’s 4 of 6 at the mile distance and McLaughlin is 23% off the medium layoff, but using jockey DeSousa (28 0 3 7) may keep me from using the horse heavier. This is a competitive version of the Cigar Mile. Private Zone is the obvious speed and other than Marking it looks like he gets to set his own fractions. If the track is at all speed favoring, Private Zone is a major danger of going wire to wire. Red Vine has been matriculating with graded milers for the last half of the year and was a decent third to the outstanding Liam’s Map in the BC Mile. Certainly has the credentials to compete here. Tonalist has a win at a mile in the Westchester. Interestingly puts the blinkers on, and his win in the Westchester was with the shades. You can’t give him too much blame for the second in the Met Mile, but he did beat Private Zone in that race. Tonalist would be no surprise here. The finale is a state-bred MSW and is wide open. Kitty Maddnes is one of a few horses coming out of the October 30 race. The pace in that race was not particularly fast but she did manage to make up quite a few lengths. Another race not filled with pace, but she did it once and could do it again. Alabama Bound broke well back in that same 10/30 MSW but also showed some close. Mott is well known to not do well with first timers, but second time out he is much stronger. With a better break she might be a more prominent factor. Preying Mantis has shown an ability to break and go to the front. Her race on October 9 was better than looked, and she flopped again next out, but that race was off the turf and she looked more apt on the grass. At 10-1 she’s an interesting possibility. 54 percent of respondents say DFS should be legal; 38% said it should be illegal. I always take polls with a grain of salt. For one thing, the thinking behind some opinions isn’t always clear. Why exactly should anything be legal or illegal? For another, it is common for people to have rock solid opinions on things they know absolutely nothing about. Most policy things are like icebergs – the majority of the bulk is underneath where you can’t see. It’s not a surprise that I would favor internet betting. Generally, I think adults should have the right to bet on pretty much whatever they want, but I have no problem with some protective rules, and I especially have no issue with wagering sites paying FAIR taxes. The current hoopla about DFS is probably not about the right to bet or the morality of gaming as much as it is about the state protecting the players and getting its share. The anti-gambling folks can pontificate all they want about the miseries associated with gambling addiction. I’m of the opinion that no matter what the vice, 10% of the population will find a way to become addicted or abuse it. While it is a nice thought, you can’t always save people from themselves. As the famous Pogo quote goes, we have met the enemy and it is us. The case in New York seems to revolve around the definition of “control or influence” in the definition of gambling in the NY Penal Code. Here is the actual statutory reference. Gambling.” A person engages in gambling when he stakes or risks something of value upon the outcome of a contest of chance or a future contingent event not under his control or influence, upon an agreement or understanding that he will receive something of value in the event of a certain outcome. This is a tricky situation for the DFS folks. On the one hand, you could argue (just like horseracing) that since the players make decisions about player selection based on statistical inputs and research, it is under their control or influence. They could argue pure gambling is something like most slot machines or most table games where the odds are fixed and you can do nothing to push the odds in your favor. Even in something like video poker, playing the optimal strategy is a long run loser. Of course the problem with Schneiderman’s argument for DFS being gambling is that it appears to make every single thing where there is a bet involved gambling. If I bet you that I can run across the busy freeway and not get hit, regardless of my skill in the freeway dash, I can’t predict the behavior of all the drivers I’ll be dodging. or if the road suddlenly crumbles beneath my feet. There is, as Schneiderman says, no absence of a material element of chance. In other words, you make a bet, no mater how much time you spend researching and coming to a decision, you are gambling. The more relevant question for Schneiderman is, what, if anything, is a game of skill with an absence of a material element of chance and betting as part of the game? Draft Kings and Fan Duel are not going anywhere in the long term despite their travails in the short term. The have massive corporate backing (you don’t hire David Boies cheap) and frankly if the NFL or MLB sat down for weeks brainstorming they couldn’t come up with a better marketing idea than DFS. I’m sure some pretty smart people are in charge at the DFS services, but in the end the best strategy they have is not to fight with NY about skill versus gambling, but to simply sit down with a reasonably powerful legislator and negotiate a regulatory structure that works for both sides. As is my tradition, Thanksgiving is for family, not betting horses, so I won’t be posting selections this week. However, I want to give thanks for all the friends and followers I’ve made in the last year. It’s a lot of work doing the selections and the blog, but knowing it is appreciated is payment enough. Meanwhile, horseracing news never stops, so here is a new blog on the trevails of Steve Asmussen and his fight with PETA. Enjoy. We waited for the decision on Steve Asmussen and his alleged abuse of horses (as presented by PETA) for what seemed like years. Actually it was years. I won’t keep you in suspense any longer. The New York State Gaming Commission called the most serious PETA allegatons “unfounded.” I expect that will hardly discourage PETA. Horseracing for them is animal abuse for a number of reasons, but mostly because it is horseracing. Although Asmussen beat the worst of the raps, the NYSGC found that three PETA allegations against Asmussen or his team were valid: that veterinarian Joseph Migliacci allowed partially completed furosemide eligibility forms to be completed by third-parties in his presence; that thyroxine was used without evidence of its medical necessity; and that Asmussen administered synthetic thyroxine. Interestingly, those three things are not covered by Commission regulations, and he was not fined for any of them. One of Asmussen’s lawyers, Clark Brewster, criticized the NYSGC fine Asmussen received for thyroxine because they never held a formal hearing or presented allegations to which he could respond. Brewster said, “Wouldn’t it be nice to have some due process? It is not a drug. It is a hormone. It’s not listed in any way as a drug or hormone that you cannot use.” He added that it was the first time to his knowledge that anyone had been fined for using thyroxine. Certain plants can inhibit thyroid function by altering iodine metabolism. Even dietary imbalances in daily iodine intake can cause imbalances in daily thyroid levels. The point is that it is not inconceivable that Asmussen’s vet could have measured levels that indicated hypothyroidism, even if it was related to external factors, and recommended thyroxine therapy. In fact, Asmussen’s attorney Brewster said Asmussen used the hormone on limited horses on the advice of veterinarians to treat low thyroid levels. “It wasn’t just haphazard use of a hormone,” he said. He also noted that the “proof” of Asmussen’s indiscriminate use of thyroxine came from PETA, and was not gathered by NYSGC investigators. In the absence of blood tests, no animal doctor could reach a conclusion on a horse’s hormone levels, and according to Brewster, Asmussen willingly provided all the records that would have justified thyroxine treatment. All things considered, fining Asmussen may have been as much a political move as one that was necessary to protect racing. Even if anecdotally the chances of Asmussen’s horses having hypothyroidism seem pretty minimal, by stepping outside due process NYSGC has raised legitimate concerns that they are willing to ignore their own rules in an effort to appease outside groups or to put themselves in some sort of limelight. Asmussen’s lawyer pointed out that thyroxine isn’t listed anywhere as a banned substance and this is true for a whole slew of vitamins, hormones, and supplements. NYSGC applied tortured reasoning to fine Asmussen for a substance that is not illegal to use, and it is a short distance to making anything they please a finable offense. There is another interpretation of the NYSGC action to fine Asmussen. Because NYSGC wasn’t going to punish Asmussen for the most serious PETA violations, they wanted to either prove they took PETA seriously, throw them a bone, or perhaps get them off their case. NYSGC made it a point to conclude three of the PETA allegations had merit, even though none of the three was a violation of NYSGC regulations. NYSGC executive director Robert Williams, in a written statement, praised PETA for its role “in bringing about changes necessary to make Thoroughbred racing safer and fairer for all.” Considering they slathered Asmussen with the nasty allegations that NYSGC determined had no merit, and their major contribution was pointing out Asmussen’s vet oversaw filling out forms instead of doing it himself, there wasn’t proof positive from PETA that Asmussen’s horses had hypothyroidism, and Asmussen treated his horses himself with a legal, therapeutic medication, it might be a little over the top to give PETA too much credit, unless of course there was some pandering going on. It also could have been a message to those pushing for federal legislation that New York can take care of business and doesn’t need U.S. ADA intervention. It went on, “No drug or other substance that could abnormally affect a horse should be administered unless in the course of reasonable, good-faith care of the horse,” states the proposed rule change. Officials said the wording is meant to broadly bolster regulators’ enforcement abilities against the improper use of drugs. The NYSGC also is advancing draft rules to require that trainers keep logs of any drugs a stable gives to a horse, and new rules for how veterinarians can renew equine drug prescriptions. To be fair, PETA influence or not, it’s a reasonable protection to draw the line between using therapeutic medications to enhance performance and using them to legitimately treat a condition. The wording may need some scrutiny (what exactly does “abnormally affect” mean), but the idea is at least legitimate for discussion. Back to Asmussen, as I’ve said in the past, applying a broad, generic definition means EVERYTHING is performance enhancing, including water (I certainly hope pointing that out doesn’t get it on the NYSGC list of finable substances). If Asmussen gives his horses feed, it contains all sorts of “performance enhancing” vitamins and minerals. Is it just a matter of time before enriched feed becomes illegal, especially if NYSGC rules wind up with highly interpretable language? If NYSGC gets away with fining Asmussen without establishing his guilt for violating a Commission rule at a hearing where he has a chance to defend himself, we are officially on the slippery slope. Not a single one of the people on that Commission would approve of a legal system that would convict them of a crime, and punish them, without having a hearing in front of an impartial judge and an impartial jury with an opportunity to present their side of the case. Yet, they don’t think twice about acting with the authority of an imperial monarch in this case. Whether you think Asmussen should be punished for administering thyroxine is beside the point. You should be incensed at the way NYSGC handled the situation. Regardless of your passion for punishing trainers who look to gain an edge by administering performance enhancing substances, it is a black eye for horseracing to punish a trainer without a proper hearing, sufficient factual evidence, and an opportunity to present a defense. Don’t miss the point – this isn’t about thyroxine. This isn’t about needing more rules to constrain drug use. It’s about how the future bodes for trainers that are found in violation of rules that never existed. It is about absolute power corrupting absolutely. I would hope the horsemen do not let this pass unchallenged. NYSGC owes everyone a legal, defensible justification for Asmussen’s fine. A week ago I posted a piece on trainer Roy Sedlacek pleading guilty to the use of a supplement containing the banned Class A drug, AH-7921. In that post I criticized the Racing Medication and Testing Consortium (RMTC) for not being more proactive in the testing of supplements. RMTC sent me a response to the column and that response, unedited, is shown below. Let me first say that we are on the same page when it comes to illegal, performance enhancing drugs in racing. Ensuring trainers are not administering illegal substances to horses is critical to protect the integrity of racing. While I have (deservedly) taken some of the racing commissions to task for how they dealt with certain medication/drug cases (but have not criticized the test results or testing labs), I have consistently said that trainers who knowingly administer substances with the intent to gain a performance edge should be dealt with harshly. In my recent blog on H.R. 3084 (http://halveyonhorseracing.com/?p=2580) I also supported HBPA, ARCI, WHOA and other groups working in concert to deal with drug and medication issues. A theme in my blogs is that there needs to be a combined proactive effort to educate horsemen about drugs, medications and supplements. I’m certainly not looking to get into a non-productive back and forth. RMTC had a legitimate point that my blog may have made it sound as if they were doing nothing on supplement testing. Clearly they are, and I have revised the Sedlacek blog post to make that clear. You can make up your own mind whether the efforts they discuss below to test supplements are sufficient. I certainly had no issue with the testing New York did to find AH-7921 in Sedlacek’s horses, and it’s comforting to hear RMTC is trying to find tests for previously undetectable substances, although nothing in my blog made any criticism of NY or RMTC for their post-race testing work. It was disappointing to hear that RMTC does not issue some sort of public notification every time they detect a new illegal substance, especially because the number one issue for many horseplayers is the perception that there is rampant use of undetectable, illegal substances in horseracing. It may be just my opinion, but knowing RMTC is aggressively responding to the perception is critical to the long term health of the game. How will we know unless they make an effort to get the results of their work out there? If there is one thing that has been consistent in my blogs, it is the need for transparency in all aspects of enforcement. I would concede that my statement in the blog, “…if they were really serious about cleaning up the sport they would be ordering Lightning Injection and the rest of these unregulated supplements and testing them,” could be interpreted in the extreme as telling them they needed to purchase every compound on the internet for testing. Even if that is the ideal, it may or may not be asking for too much. I’ve revised the Roy Sedlacek blog to make it clear when I am talking about ARCI and RMTC, and have clarified thoughts about testing supplements based on the RMTC comments. I’m not sure how many supplements there are out there – horseprerace.com listed 373 products, but many of them appeared to be repeats, double listings and size differences, so maybe 150-200 unique products on that site. While I’m not sure the number of products out there is too daunting to put on a regular testing schedule, the RMTC comments did reinforce the point I made about supplements – they are unregulated, often do not contain the listed amounts of ingredients, and can be contaminated. You can test two bottles of the same product and come up with different results. Still, even that is worth knowing for trainers and the public. If you want to minimize the impact of these supplement manufacturers, the best way to do it is to hoist them on their own petards by showing they are inconsistent and possibly dangerous. We all know there are snake oil peddlers active at racetracks, armed with their own “studies” about the efficacy or safety of their products. It is important for the RMTC to reinforce that they are fighting fire with fire by informing trainers and the public of the testing they are doing. Even the RMTC assertion that of the 100 unknown substances they have tested in the past few years, “[only] three have had anything more than sterile water, preservatives, sugars, and amino acids or various combinations of specially compounded common medications,” should validate a more aggressive testing program because it is just as useful for trainers to know they are snake oil as they contained illegal substances. Trainers are using these supplements because somewhere they got the idea they work, and they’ll keep using them until it is proven they don’t. Current post race testing yields less than 0.5% positives, and 0.01% positives for Class 1 and 2 substances. The testing of 100 supplements referenced in the RMTC letter apparently yielded 3% illegal substances. It would be absurd to argue that we should substantially limit post race testing, even based on those results, and I would say three out of 100 supplements is also worth the effort, regardless of the difficulties. I’ll end where I started. The work of the RMTC is a critical part of cleaning up the game, and they are to be lauded for what they do. But I still believe they could do much more, and I still believe we spend far too much trying to catch trainers after the fact, and not nearly enough on proactive, pre-emptive research. At the end of the day, a violation avoided is worth far more than a violation punished. Get the information out there to the public and the trainers about the effectiveness and results of RMTC and it will benefit the game. As for making a donation, all of us horseplayers are already “donating” 15 to 30 cents of every dollar we bet. I suggest you start by convincing the people that divvy up the booty to give you a larger cut, and if you want my support on that, you’ve got it. The RMTC response is below. I recently read Rich Halvey’s commentary in halveyonhorseracing.com regarding the recent positives called in New York for AH-7921. In response, I would like to take Mr. Halvey’s statements regarding the RMTC to task and encourage him to reach out to us at the RMTC before he posts another misinformed piece. First and foremost, while it is commendable that the New York Drug Testing Laboratory found AH-7921 in post-race samples, it is certainly not novel or unexpected. Horseracing testing laboratories have been aware of this substance and have been testing for it for several years. Developing methods for finding new substances is a requirement for RMTC Accreditation. As a result, the RMTC Accredited Laboratories are continually working to find tests for previously undetectable substances. Even though a press release is not issued every time a new drug is detected or a new test is developed, that does not mean we are not finding new substances and developing new tests daily. Individual substances that were submitted by numerous jurisdictions. Just in the last few months, the RMTC has submitted three substances from three separate jurisdictions to RMTC Accredited Laboratories for analysis. 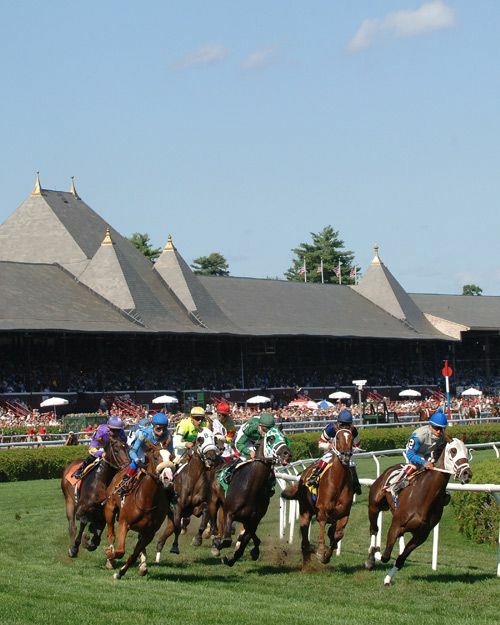 Moreover, the RMTC works with many states and racetracks that are willing to spend their own funds to have substances analyzed in horse racing laboratories. RMTC has developed a protocol that we follow and that we share with others to use in requesting these services. Of the nearly one hundred unknown substances that RMTC or individual jurisdictions have tested in the past few years, only three have had anything more than sterile water, preservatives, sugars, and amino acids or various combinations of specially compounded common medications. Two of those were for the substances submitted by Delaware. The final one was from a trainer who anonymously submitted a colorless injectable liquid. In his article, Mr. Halvey suggests that the RMTC purchase every compound on every website for testing. While a portion of our Tactical Research budget is used for that purpose – it is one of the least fruitful areas. This is because the substances on these websites are unregulated, fringe sources. That means that there is no expectation of consistency in the products. Because of this, formulations and additives can change based upon what is cheap, available, or fashionable in the drug maker’s mind. Thus, even testing these products once will be insufficient. This is why we test these substances continuously. Research on hair testing – with the goal of testing for illicit substances using a methodology that allows for long-term detection. In sum, the RMTC views emerging threats seriously. In the past three years we have dedicated significant time and resources to researching these and other areas of horse safety and racing integrity and with support from across the horse racing industry, we will continue doing so in the future. As for funding these important endeavors, I encourage Mr. Halvey and everyone interested in racing integrity to visit www.rmtcnet.com to make a donation. Looks like it’s likely to get wet tomorrow. Just depends on what time the storm rolls in. Selections for both turf and dirt. This is a cheap race and a lot of the starters are destined to be at this level a while. Frankly, part of the reason they are running at this level is that they are unreliable. Buyer beware. McKenzie’s Way gets the nod for a few reasons. He was claimed by DJ three back and has come close in low level claimers since. His last race was at half this price at LRL but don’t be fooled – it’s the same bottom level group he’s in today. He was also racing with much better earlier in the year. DJ is bringing him back in a week, and that may or may not be a great move, but he is 20% with those horses. Grosero might be as close as we’ll come to a price in this race. At FL earlier this year he was tearing up the cheap claiming ranks. I’d be happier if he was back with Bruce Anderson, but Michael Aro is at least familiar with the horse. He’lll be near the front and may forget to back up. First Bid was grabbed by Contessa two back and he looks competitive with these horses. If you are playing the horizontals, you might want to contemplate the all button. This maiden claiming event for two year olds is another race where the horses that have already started look suspect and the first time starters don’t stand out. Wicked One is dropping out of MSW for top conditioner Mark Casse. Voided Contract was probably not on her best surface with the muddy BEL track but still ran well. Looking for improvement today. Kalabaka has two seconds in two starts and Violette is usually effective with young horses. Roccia d’Oro has two wins in Europe. He didn’t show well in a Group 2 in Italy but looked pretty good first time in America. Losing to Red Smith favorite and winner Mr. Maybe is nothing to be embarrassed about, and there is no Mr. Maybe in this race. He is the one to beat. Grey Wizard has a win at the distance. Last out he took the lead in the stretch and got passed late. Puts blinkers on today in an effort to focus. Coturnix was claimed three back by Abby Adsit and he’s been running open claimers at today’s price. He’s got a decent turn of foot and has a win at the distance and a second at AQU. At 15-1 he could make the verticals. Request has been looking for win number two for most of the last two years. He’s been no worse than fourth in the last year including a couple of nose loses. I’m not enamored with the horse in the win slot, especially at the odds, but he’d be hard to leave out of the verticals. Big Al Parker made an obvious improvement when dropped to the $40K level. Drops again AND moves from the turf to the dirt. He seems much better bred for the dirt and actually ran a decent race sprinting on the dirt earlier in the year. Looking at him for the value. Elusive New Yorker ran well in an off the turf sprint two back. Breeding suggests dirt may be the preferred surface and Rosario returns for the ride. Rich Dalone is developing the look for a horse that may prefer second to winning, but he has the figures to be competitive here. El Genio drops slightly for this run. He’s got plenty of speed and may be the one to catch. Successful Sweep steps up a notch but has been running well all year. She had been racing on the dirt all year until her last, a decent effort on the turf. She actually has a win on the turf and is well bred for the distance. Angel Choir is on a two race win streak and drops down a bit in the try for three in a row. Looks like the one to catch. Mobilize ships over from Laurel. She’s been seaching at the NW1X level for the second win and drops down to $35K. Figures say she’s got a big shot. Egyptian Magic won a NW2L by daylight in an off the turf affair and figures well here. The Dominck Shettino entry of Heady Creek and Sean and Matt should be tough in this spot. Heady Creek just beat a $10K maiden field and shouldn’t be making much of a jump to this level. He had been totally non-competitive on the turf and the move to the dirt produced a different horse. Sean and Matt was a complete flop on the turf last out but prior to that ran a fair third in a $25K claimer. He hasn’t been any closer to this level than that race and should benefit from the drop. Sourcesandmethodshas been popular at the claiming box lately. He just missed at the $16K level two back and lost to Pin and Win and the now infamous Bossmon, Roy Sedlacek’s horse who ran on AH-7921. Figures well with this group. All My Trails drops almost in half for this run and his best recent run came in an off the turf affair on a muddy track. Fourstar Crook won an open MSW last out for the deadly duo of Chad Brown and Irad Ortiz. She drops into a state-bred NW1X today and given she’s got the fastest last race figure, she looks solid in the win slot. Hillaryinthehouse has been knocking at this level and might have been the favorite if not for Fourstar Crook. Hasn’t been around two turns but is well enough bred for the distance. Forever for Always has been knocking around looking for win number two for a few months. Has been close enough to get some consideration at 15-1 ML. Heaven’s Runway stumbled at the start of the Bold Ruler, rushed to the front, dueled all the way but faded at the end. Had a win in a restricted stakes at DEL in July and gets an interesting jockey switch to Alvarado here. Green Gratto dueled with Heaven’s Runway in the Bold Ruler but the 7F distance proved too tough. His best shot is at 6F and he gets the cutback today. We’ll see who wins the duel this time. Marriedtothemusic is almost 50% at the distance and 2 for 2 at AQU. Certainly worth a look at 12-1. This race is filled with speed and it looks like the best closer should be Joking. One to consider coming at the end. Secure Access improved when moved to the turf and has the best last race figure. Laquesta is the likely front runner and will have to be caught. She’s fast enough and courageous enough to make a race of it. Pay the Kitten goes for Chad Brown who is 31% second time out. Improvement puts her right there. My Dinah Lee goes second time for Mott who is not known for his proficiency with first timers. He stretches her out today and Chris DeCarlo should be sticking with Laquesta early. richhalvey on What Makes A Great Race Caller?